I can’t help feeling like I should not like this place. But everytime I return to Sorrento (there is a local song about that), I am reminded of just how much I do like it. Despite the tourists (especially Brits seem to love it), the way of ‘working’, fellow guides know what I mean, the unpredictable nature of the traffic whereby getting there from obligatory Pompeii can take forty mins or three hours, Sorrento is a place I am always happy to see included on an upcoming itinerary. My first visit, saw me arriving late at night and everything was dark. I stayed at a small hotel in my favourite part, Marina Grande (actually the small harbour). 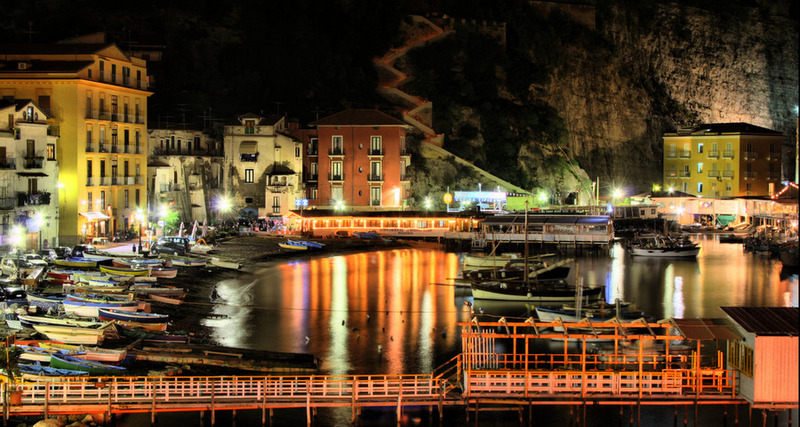 The smaller of the two harbours is rarely visisted by most tourists, thanks to one simple fact: steps! Deal with them and you’ll be richly rewarded. It was summer and hot, so I opened the double doors to my balcony over the sea. However I had no real view, the black of the moonless night obscuring all. The next morning, I was woken up at around 5 am by the gentle ‘chuk, chuk, chuk’ off a tiny fishing boat heading off through the port towards Capri in the distance. I have not forgotten the beauty and it is one of my top travel moments of all time. Vino In… Via S. Cesareo, 89. 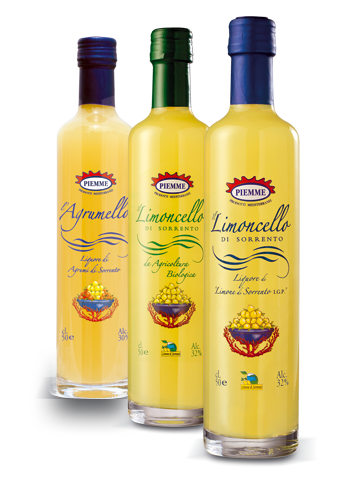 Sorrento is famous for limoncello. It is simply delicious. However there are many rubbish ones out there. Especially look out for the bottles shaped as Italy, a ship or a lemon etc. By all means buy them if that is what you want, but logically the content may have suffered due to the focus on the packaging. There is however one limoncello that in my – a little too great perhaps? – experience is the best, short of home made. Piemme it is called. In Sorrento there are now only three shops left that stock it and this is by far the best and cheapest. You get free samples and the prices are considerably better than at the duty free shops. Hidden away on the medieval side streets, search out Vino In and the friendly guys who work there and love the free sample stage, as they get one too!